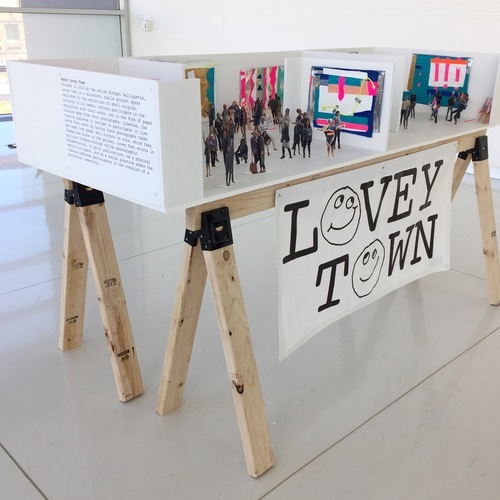 Founded in 2013, Lovey Town is a miniature, mobile project space facilitated by the artist Michael Velliquette. Along with exhibitions, Lovey Town is also an education and event platform for audiences to engage in dynamic, creative activities and community play. Lovey Town exists in multiple formats—through online photographic documentation, in print publications, as a physical exhibition space, and as a social sculpture.